We’ve done a few science topics over the years but we have not yet covered any chemistry or physics. Those topics scare me! I took chemistry in high school (and barely survived) and would not have made it through physics in college without my hubby’s support. So I don’t have fond memories of either topic! 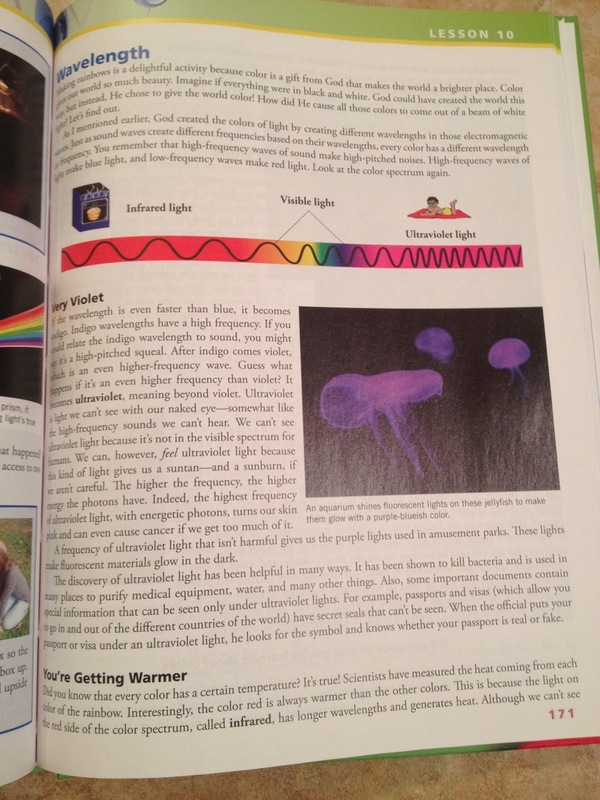 But we got a colorful package in the mail and I plunged headfirst into Exploring Creation with Chemistry and Physics from Apologia Educational Ministries. And I am happy to inform you that we are still alive at our house! What did we think? Read on for my review!! 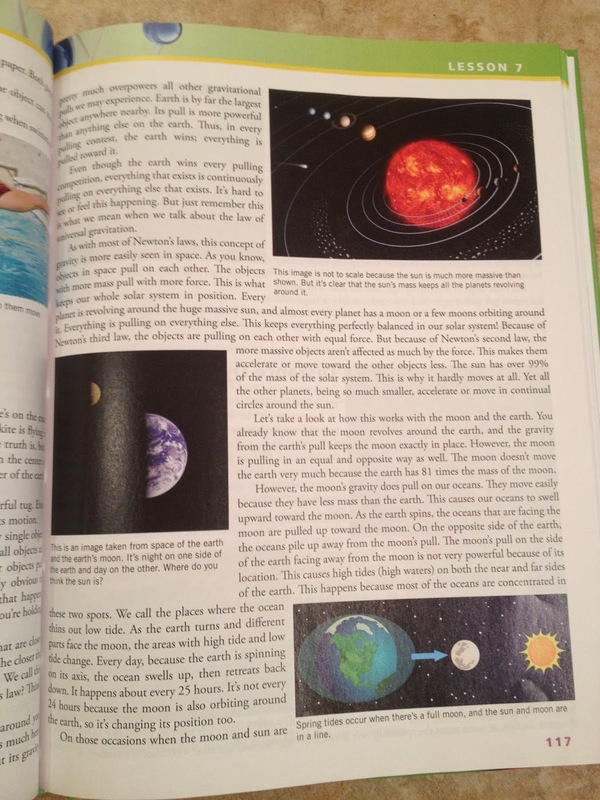 Apologia Educational Ministries is probably best known for their homeschool science curriculum for grades K-12. 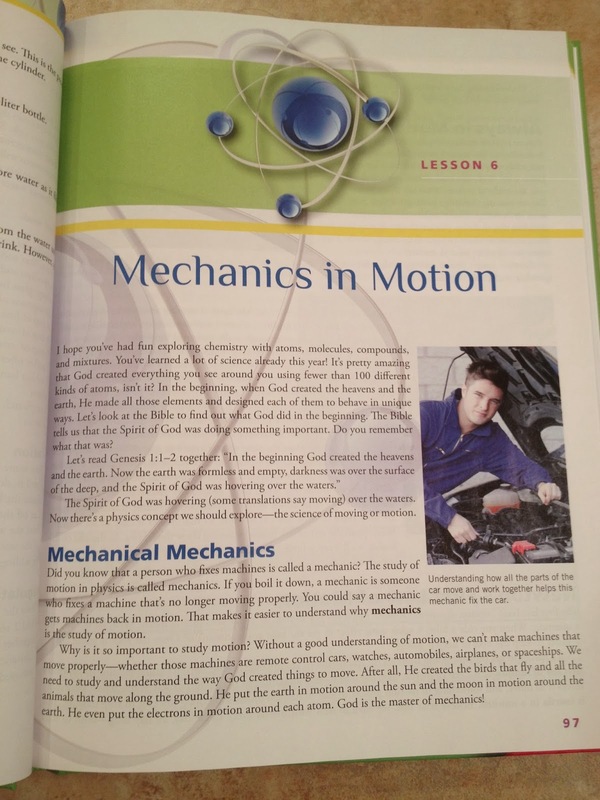 However, they also offer Christian worldview curriculum, history and language arts curriculum, as well as other homeschool publications and resources. 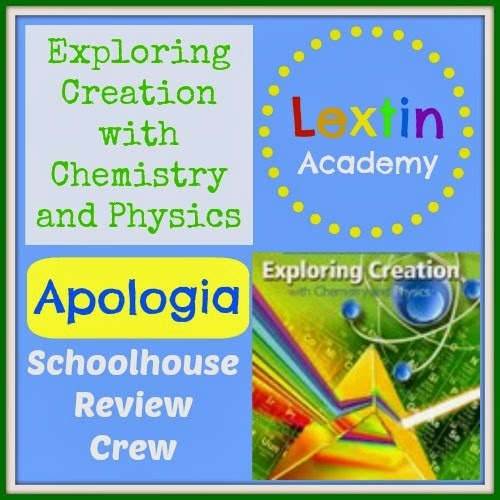 Apologia provides a science program for the elementary grades in the Young Explorer’s Series. This series approaches science topics with an emphasis on the 5 days of creation, starting with Astronomy and progressing through a study of the Anatomy and then the new Chemistry and Physics book. 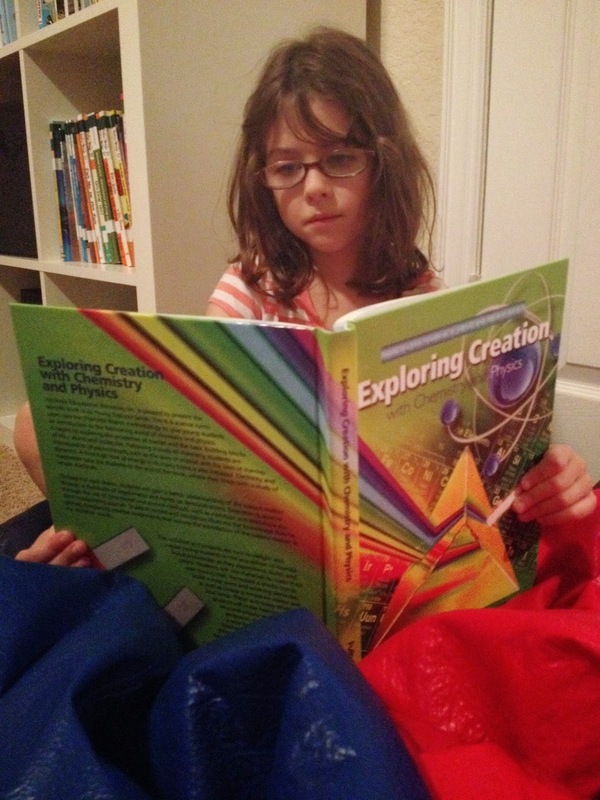 The Exploring Creation with Chemistry and Physics book was designed for students in grades K-6 and retails for $39.00. 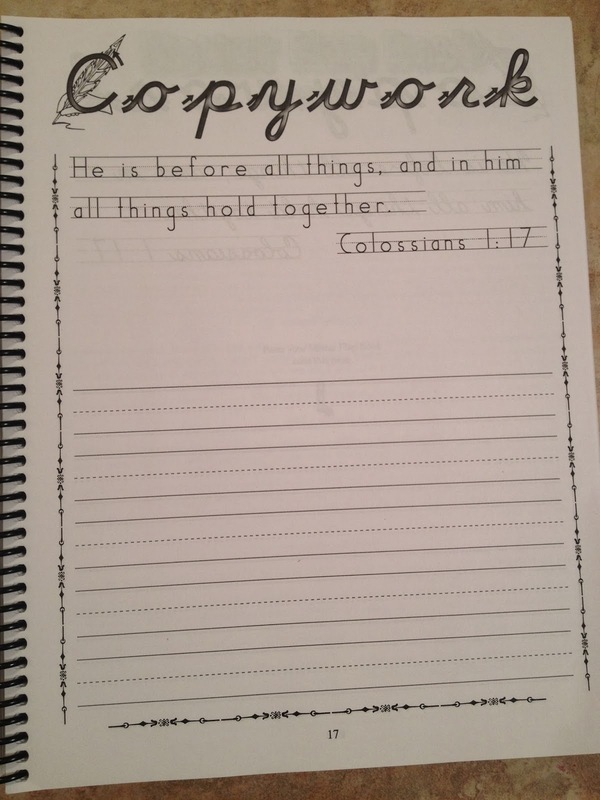 Apologia has also created notebooking journals to accompany the text. There is a journal for older students and one for younger students. Both journals retail for $24.00. We received the text and the junior notebooking journal. There is also a supply list and an answer key for all of the review questions in the text. Each chapter includes multiple experiments in the Try This! sections. At the end of each chapter there is also one longer project with instructions. 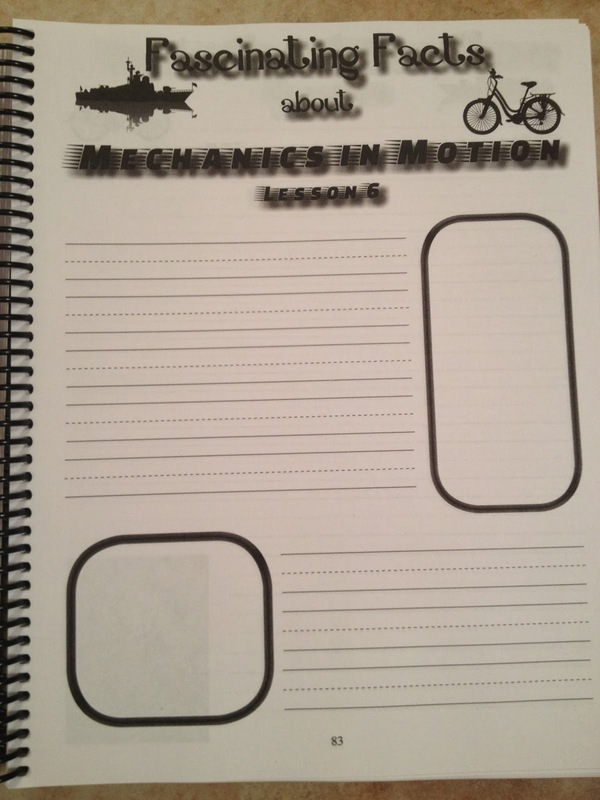 Each chapter also includes review questions to prompt the student to narrate the main ideas from the lessons as well as notebook activities to complete in the Notebooking Journal. Samples of both the text and the notebooking journals are included on the Apologia website. The book also contains the link to an online website with a password for access. On this site are links to various internet sites of additional reading or demonstrations of the topics taught in each chapter. These links are divided by chapter of the book. For example, there is a link to a video which demonstrates Archimedes Principle as well as a page that describes the various shapes of ice bergs. The site was great for further study! We opened our books and began right away. 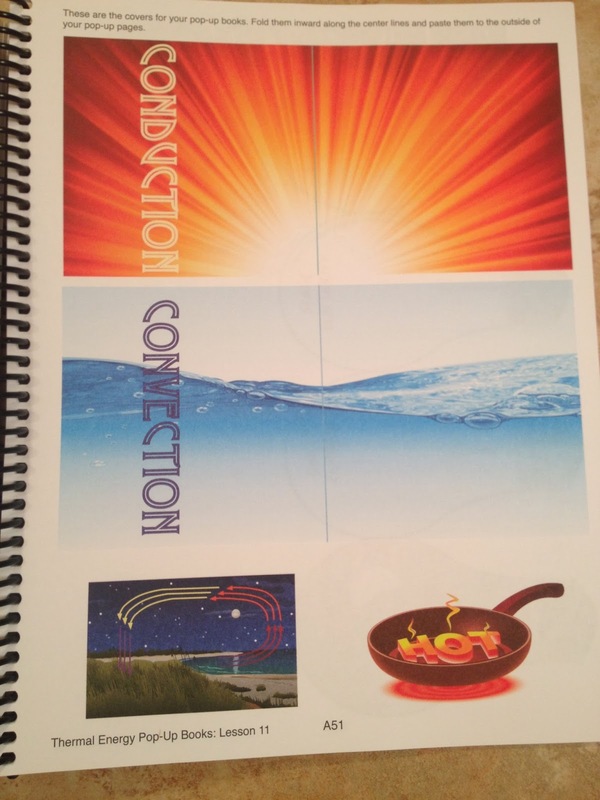 I used Exploring Creation with Chemistry and Physics with Curly (age 7). I did take some time to glance over the supply list before beginning with Curly. We read through each section of text together and then discussed the topic. We found that we could only do one or two short sections each day, progressing at a slower pace than what is outlined in the journal. There is a lot of information to cover and we found that a slower pace was better for us. We initially began working with the journal but because we were moving at a slower pace, we started to create our own journal rather than use the blank journal templates. While I read aloud to Curly each day, she drew pictures of what I read. 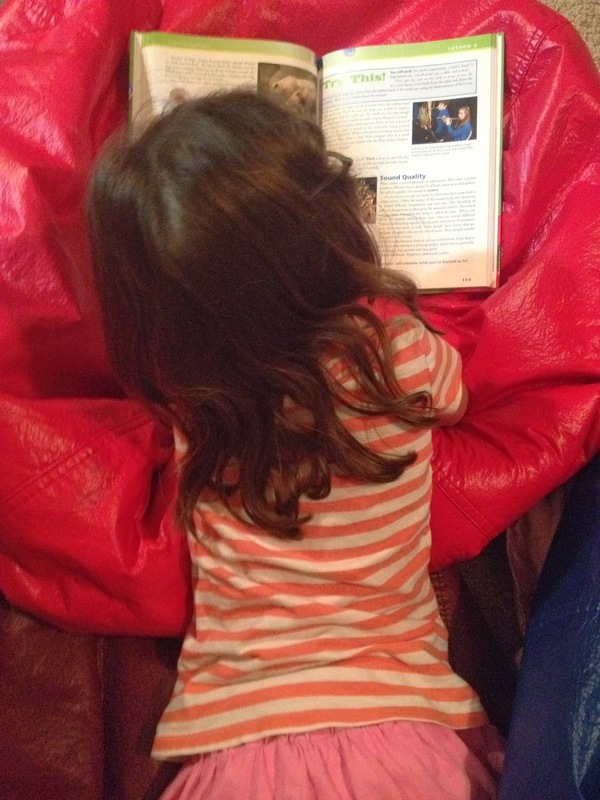 Then she narrated back to me what she remembered from our reading. Then each page went into her notebook. What we found when using the journal was that we had so much to say about each short section that there was not enough room on the journal pages provided for us. I think if we had moved at the outlined pace, covering multiple sections of the text each day, we could have condensed our narration and made it fit the pages better. However, since we were only doing one section (or maybe two) at a time, we had more narration. Therefore, we used blank pages to have plenty of space. Curly did use part of the journal. She enjoyed the coloring pages and she worked on some of the copy work pages. The lapbook components were colorful and fun so we took time to do many of them. So, our journal ended up being a lot less organized than the provided notebooking journal. But we have a wonderful self-created journal for Curly to keep with all of her hand drawn notebook pages. There were many experiment options in this text and we found that we tried several of them but we were not able to do them all. Many of them are fairly simple; however, we did not have time to do each one thanks to our house full of little people who often interfered with our lesson time. This text is packed with information. While it is written to an elementary student, we found a few topics to be a little advanced for Curly’s 2nd grade abilities. She did a great job listening to the material, participating in the experiments, and giving me narrations. However, some topics were still a little difficult to grasp. I think this course was a great introduction to the topics and we would want to go through it again when she’s closer to middle school to allow her time to mature and be able to understand the topics more fully. 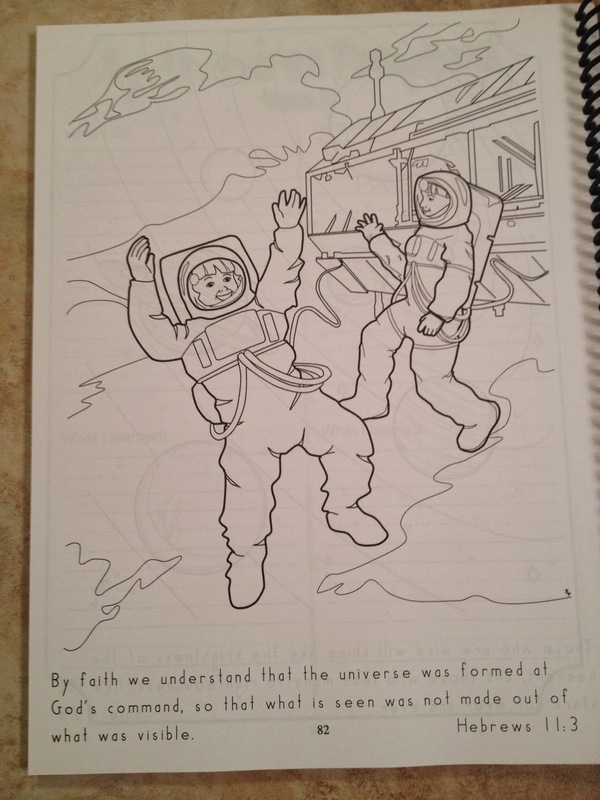 The format of this text is slightly different than some of the other Apologia elementary books. There is more color in the text. Each section is divided by colored text and the experiments are placed inside colored boxes. This text is much more visually appealing and easy to read when compared with the other books in the same series (or at least the books I’ve used so far in the series). I loved the color, the clear division between sections, and the separate sections for experiments and projects. It was much simpler to find what I was looking for as far as sections and experiments as I paged through the book. I love the small changes that have been made and thought the addition of the colored headings and boxes were wonderful! It’s just much “prettier” to read through than the other Apologia books. 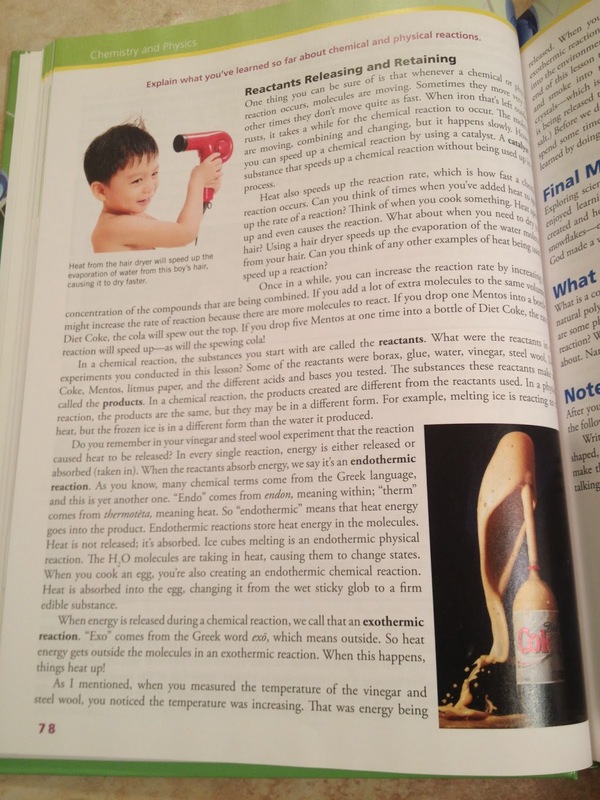 This book has tons of experiments. There are so many that I don’t think you would be able to do them all. Or at least, those of us with tiny people underfoot might never make it through all of them. I liked that there were so many options and I felt that I could choose the few that I wanted to complete. Many of the experiments were fairly simple and required easy to obtain materials. Most of them were experiments that Curly could complete with minimal help. I liked that she could be independent on some of the experiments and be able to experience the results first hand. Simple is sometimes best when it comes to younger students. For example, one experiment was to stretch a rubber band and then release it. Next, the student was to stretch a string and release it. The student was to compare the differences between how stretchy the two items were. Then the student was to twist and twist the string until it folded over onto itself. Now the student could stretch the string more like the rubber band. Some of our favorite experiments were to have an experiment to find which objects would sink or float. Even Tiger and Bee got in on the action and we all took turns throwing things in the bathtub full of water. We got more than a little wet. Curly also enjoyed playing with water droplets on waxed paper to understand how atoms stick together. Did I mention that we really enjoyed the simplicity of the experiments and that my kids could do them all by themselves? Well, it’s worth mentioning again! In addition to all the experiments (Try This! sections), each chapter also had a longer project at the end. These projects were things like growing a crystal or creating a periodic table of the elements with sugar cookies and icing. Now, these are fun projects and great learning experiences to be sure. However, I’m just not up for the mess and the level of involvement that I would have to have in supervising these projects. We make it through our days and we don’t look for ways to create a new mess. So, until Curly is a few years older and can do more of these projects without my direction, I’m going to have to focus on keeping the toddlers out of trouble rather than icing tons of tiny sugar cookies. These books are definitely written from a Creationist viewpoint. This is something I love about Apologia because I want to learn about science from the viewpoint of a Creator who masterfully designed all of creation. At the end of each chapter is a very short wrap up under the heading “Final Matters.” Each of these sections highlights the main points of that chapter while putting the science into perspective of God’s design and creation. I loved all those little reminders throughout the chapters. The text is overflowing with full-color pictures, diagrams, and illustrations. We loved all the pictures and the illustrations that accompanied the text. They greatly enhanced the material and Curly found them all very helpful in understanding the ideas taught through the text. After every few sections there is a short review section (usually about 2 per chapter). This consists of a few questions to help the student summarize the material of the previous few sections. I really liked these questions. But since we were moving at a slower pace than recommended we found that these sections were spread a little far apart to be helpful for us. The one thing that is difficult about the Apologia texts for me is how difficult it can be to find a stopping point at the end of each day. I don’t follow the suggested schedule because it is too much for the ages of my kids. Unfortunately the sections in each chapter are not all the same length so it was hard to determine which days I should do more than one or if I should stick to completing one a day. I had to look ahead to try to gauge the various lengths of each section to try to schedule them. In the end, we just did about one section per day and didn’t plan ahead to when we would finish each chapter. This meant that we sometimes completed a chapter in just two weeks and sometimes it took us even longer. Some weeks we even finished a chapter in the middle of the week and then started a new one. It worked best for us when I quit trying to plan ahead! I love the small changes in format in the texts – the color, the sections divided with easier to spot headings, and the text boxes for the experiments. I hope that all the Apologia series will be updated to have better organized text with more color. I was pleasantly surprised to see how this book was different than the other texts we have used from Apologia. In the end we really enjoyed this book. There was so much information contained in the text that it took us quite a bit of time to work our way through each chapter – but that was ok with us. 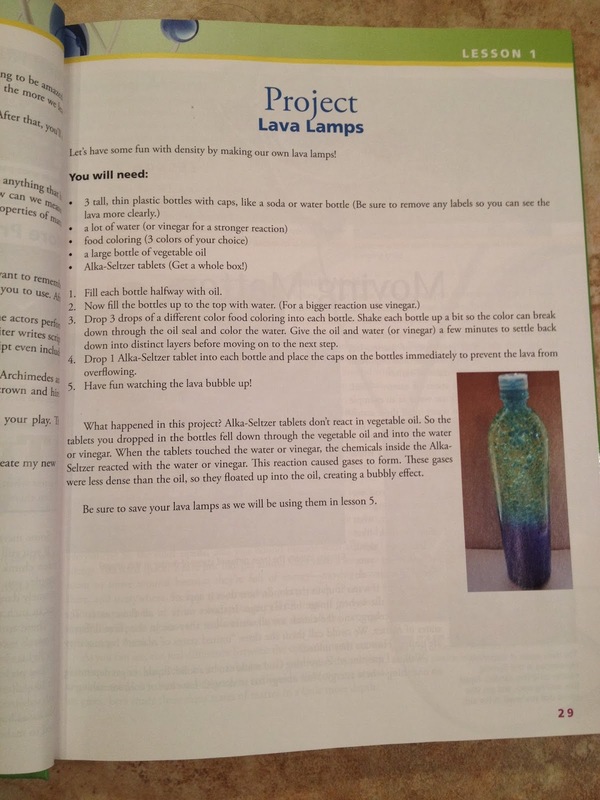 We found that this was a wonderful science text at our house – with the modifications of moving at a slower pace, only doing some of the experiments in each chapter, and creating our own notebook. I do plan to use it again right before Curly begins middle school so she’ll have a great foundation for middle school and high school science. 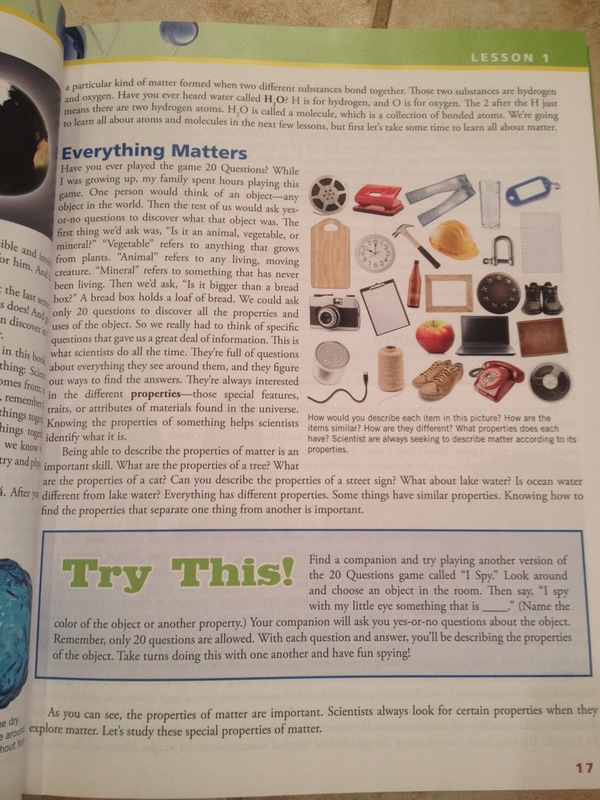 But we still found most of the topics and ideas in the book to be understandable even for a younger student. Read other reviews of this product from the Crew! I've had this on my wish list for a little while now. My initial plan was to use different parts of it over the next few years (4th, 5th, & 6th). Your review was so helpful; I'm feeling better and better about making the purchase soon. I think that would be the perfect age for it! 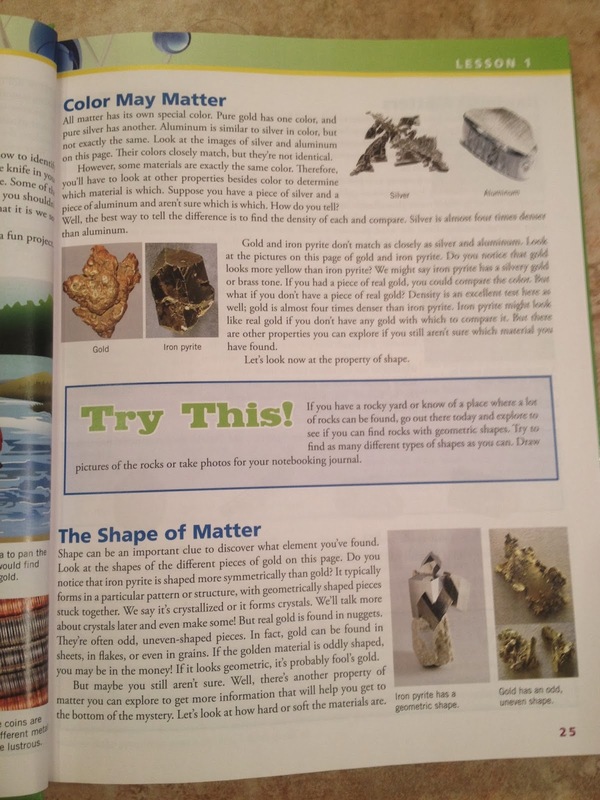 My daughter enjoyed it but there is a lot of information in the text and it was a little overwhelming as our first intro to chemistry and physics. But I think this was my favorite of the Apologia books because I love the new format, I like that it has multiple experiment options, and it seemed more straightforward and less wordy than some of the other books. It was just easier for us to follow. We will probably set ours aside for a while and pull it back out in a few years. I think my daughter will get more out of it then. In the meantime we'll use a few other things and read through the Apologia Zoology books.